The Brookline Symphony proudly wears its status as a community orchestra, and can hold its own with any of the fine semi-professional orchestras in the area. It was particularly impressive that the overall age of the packed crowd on Oct 22nd at All Saint’s Church Brookline skewed a good 15 or more years younger than the average classical crowd. Since its reorganization in 2009, the ensemble has done quite a few things right. The orchestra is strong in all sections, not displaying weakness in the upper strings or in the wind sections which can often be the tell-tale sign of devoted but less skilled amateurs. Intonation is clean, the brass section powerful and well-balanced, and the strings play with a warm, blended sound. 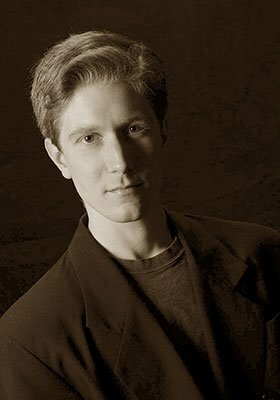 Currently in the process of searching for its next music director, Brookline SO has first turned to BMInt‘s own [21 reviews on our site] Patrick Valentino, who currently directs the Boston New Music Initiative, the Bay Colony Brass, and the choir of St. Mary Star of the Sea. From my seat in the back, his beat seemed clear and easy to follow, not overburdened with excessive gestures or fussiness. His strong and fresh interpretations owed little to tradition. He set the bar high for the subsequent candidates. In Guiseppe Verdi’s Overture to I Vespri Siciliani, intonation and dynamics were excellent, and the acoustics of the church supported the brass. Dramatic tension came in the section where the violins sang their melody over menacing undertones in the brass section. The cello section solo vocalized with especial distinction. In general, fortes impressed in fullness and volume, especially in contrast to the well-controlled pianissimos. 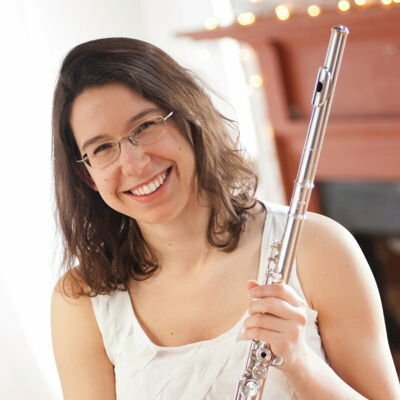 Mozart’s Flute Concerto in D, K 314 featured the winner of the 2016 concerto competition, Weronika Balewski, a local flutist who combines an intriguing teaching career with award winning chamber playing. She produced a lovely, bird-like, silvery tone. The familiar K314 possessed a lightness of touch which showed off both soloist and tutti. A few very slightly wobbly joints when the orchestra joined the soloist only slightly marred a fine performance. Tchaikovsky’s Fifth Symphony, op. 64 allowed Valentino to make a well-known chestnut his own. His tempi overall were far brisker than any I’m used to. The Valse in particular was romantically dizzying; the violins and violas acquitted themselves admirably in the difficult passage work. The brass were in their glory throughout. The Finale, Andante Maestoso-Allegro vivace was seriously vivace, with a forward drive which did not always allow the relentless music to breathe. The orchestra seemingly followed the conductor’s vision impeccably. This decidedly un-Romantic, very clean, un-embroidered modern performance earned a roaring standing ovation. Overall, this was an impressive outing by an ensemble that would be very easy to overlook among the wealth of offerings in the area.